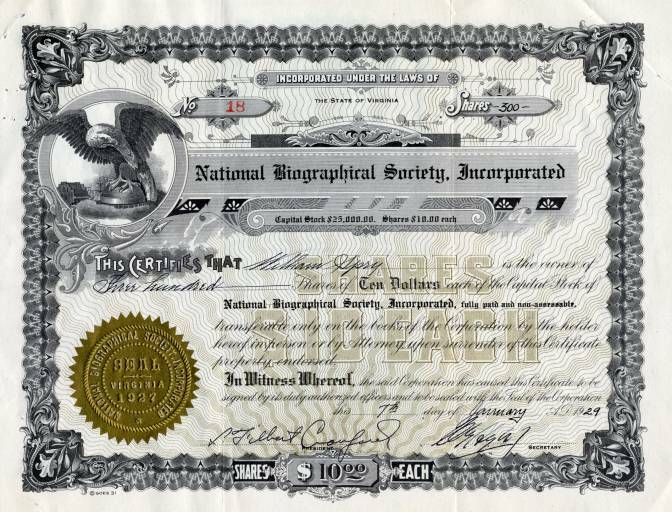 Beautiful certificate from the National Biographical Society, Inc. issued in 1929. This historic document was printed by the Goes Company and has an ornate border around it with a vignette of an eagle. This item has the original signatures of the Company's President, L. Tilbert Crawford and Secretary, and is over 84 years old. National Biographical Society Inc. published "Who's Who in American Sports".